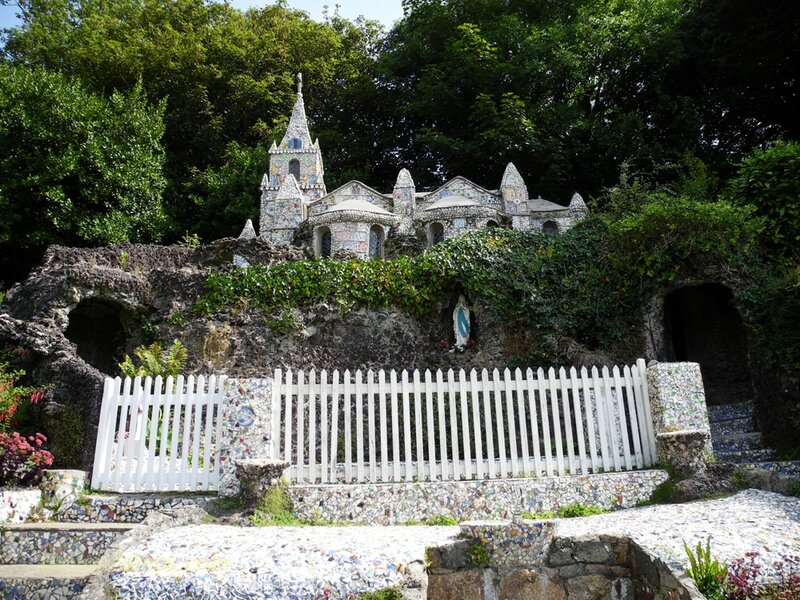 The Little Chapel is one of Guernsey's most popular tourist attractions. It is located in the parish of St. Andrews on a woodland slope next to a pasture where Guernsey cows serenely graze. In 1904, Brother Dedot came to Guernsey in order to escape a wave of anti-religious sentiment that was gripping his native France. 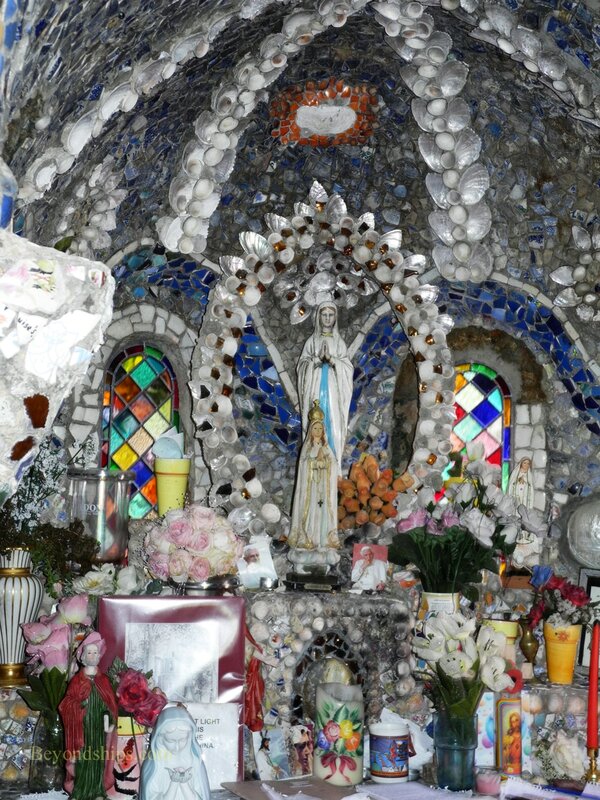 A few years later, he conceived the idea of building a chapel based upon the Rosary Basilica at Lourdes, France. So Brother Dedot purchased a parcel of land in Les Vauxbelets for that purpose. His first attempt at building a chapel met with severe criticism from his colleagues. Therefore, Brother Dedot demolished the chapel and built a new one. The second version was well-received. However, when the Bishop of Portsmouth visited in 1923, he was unable to fit through the door. Consequently, Brother Dedot demolished the second chapel and built a third version. His third attempt is the structure that we see today. It is 16 feet by nine feet and is believed to be the smallest consecrated church in the world. 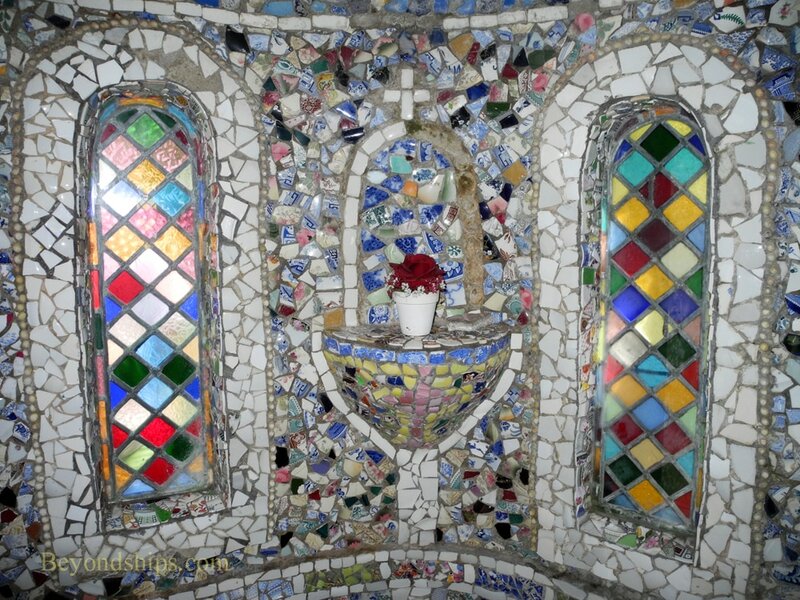 The Little Chapel is decorated with mosaics made up primarily of broken glass, chinaware and colored pebbles. At first, it was a struggle to obtain such materials. However, after the English newspaper the Daily Mirror ran an article about Brother Dedot's project, gifts poured in including a gift of Mother of Pearl from the island's lieutenant governor. In 1939, Brother Dedot returned to France because of ill-health. Responsibility for decorating and maintaining the Little Chapel shifted to Brother Cephas. He retired in 1965. The Little Chapel stood derelict for more than a decade. 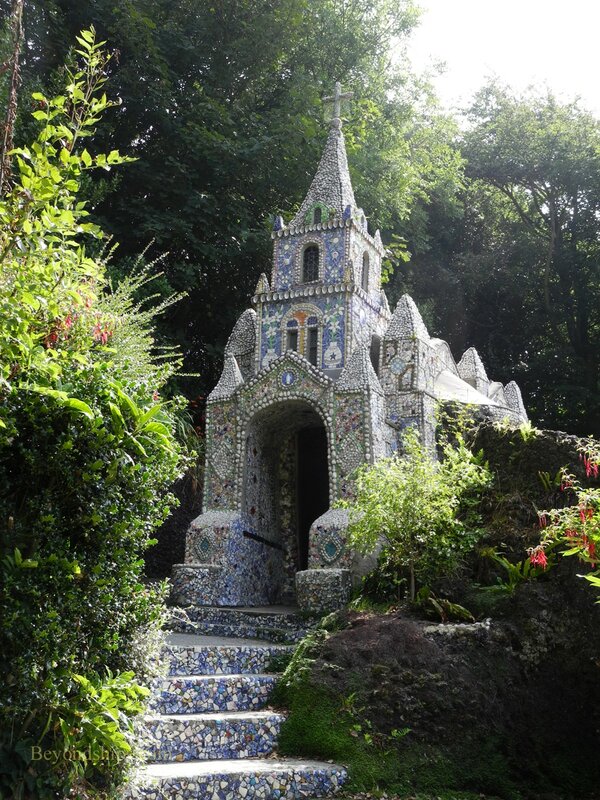 In 1977, a committee was formed to protect the Little Chapel and it has been restored. It was closed for major renovations in 2015 but reopened to the public in early 2017. From a distance, you might think that you are looking at a distant cathedral nestled in the woods. It is only when you approach that you see that it can only hold a handful of people. 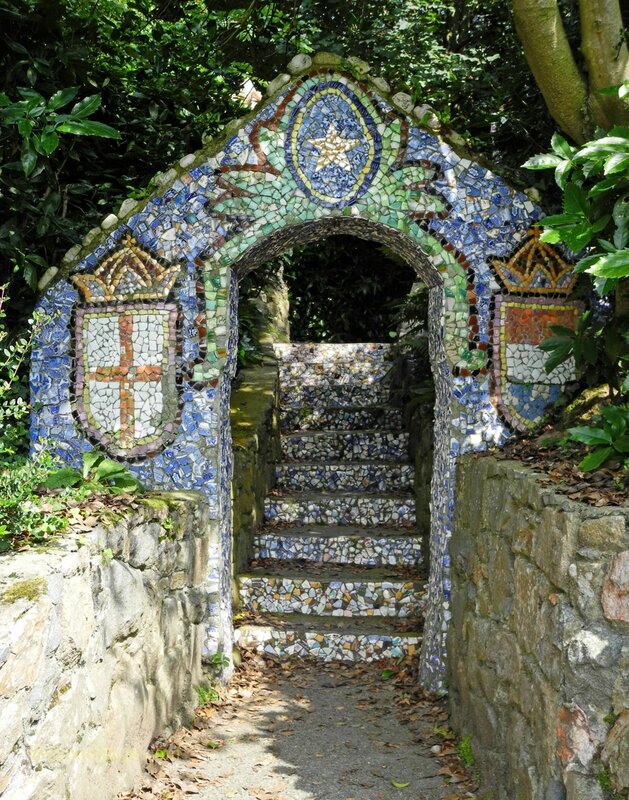 The decoration catches the light and makes the structure glisten in the sunshine, giving it a magical appearance.